An interactive language and culture guide, and a customized version of the award-winning mobile app from TripLingo, Cruise Lingo allows travelers easy access to authentic local phrases and relevant information to enhance their destination experience. By simply speaking or typing a phrase – such as, “Where is the nearest ATM?” – into a mobile device, the translated language of the local destination appears on-screen. An interactive book offers multiple versions of each phrase, including formal and slang options. Other features of Cruise Lingo include voice-to-voice translation; an intelligent “flashcard” learning system, and an on-demand “crash course” in local cultures. The crash course contains information including general etiquette, safety information, doing business, country information, travel tips, dining guide, music and local pop culture. The free, new Cruise Lingo app can be downloaded onto Androidand iOS smartphonesand tablets from www.celebritycruises.com/mobile. Included in the free version of the app are 80 standard phrases in 11 languages; 56 cruise-specific phrases; 20 free uses of the voice translator; access to 2,000 dictionary words translated into all 11 languages, and the culture crash course. Vacationers also can access a full-featured library of the 11 languages through an in-app purchase which unlocks more content. 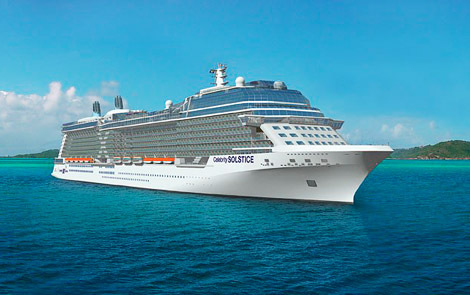 Celebrity Cruises has 11 ships offering modern luxury vacations and visiting all seven continents. Celebrity also presents immersive cruise tour experiences in Alaska, Australia/New Zealand, Canada, Europe and South America. Celebrity is one of five cruise brands operated by global cruise vacation company Royal Caribbean Cruises Ltd.